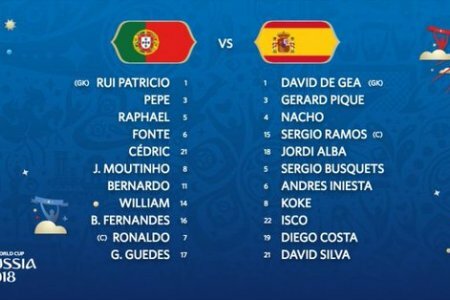 The Full team news has been announced and Diego Costa starts up front for the 2010 champions, with David Silva and Andres Iniesta tucked in behind. As expected, Cristiano Ronaldo leads the line for Portugal, the European champions. A clash between him and Sergio Ramos might be tasty.